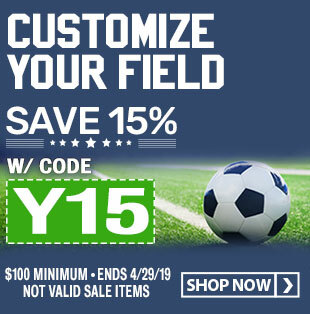 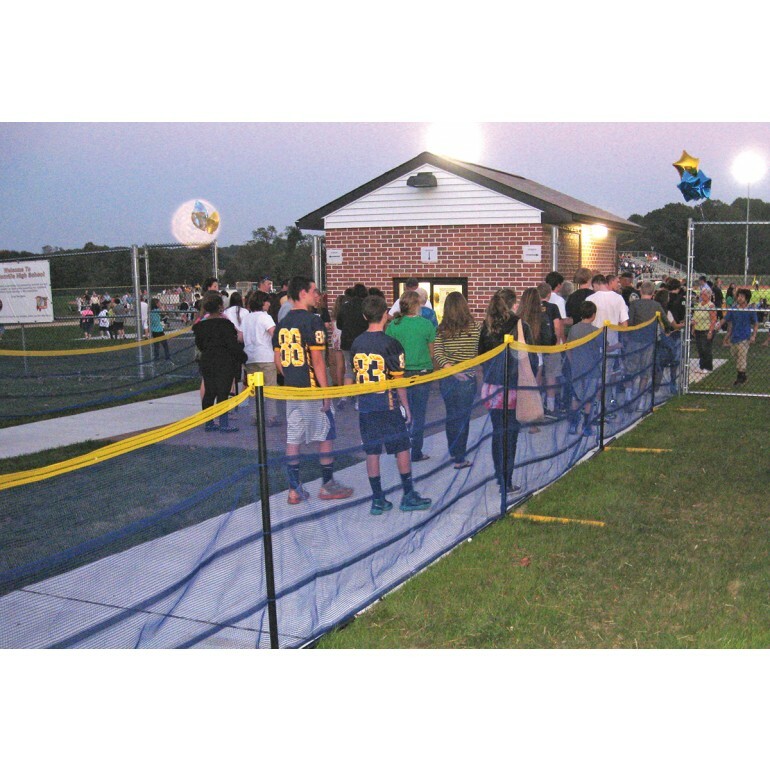 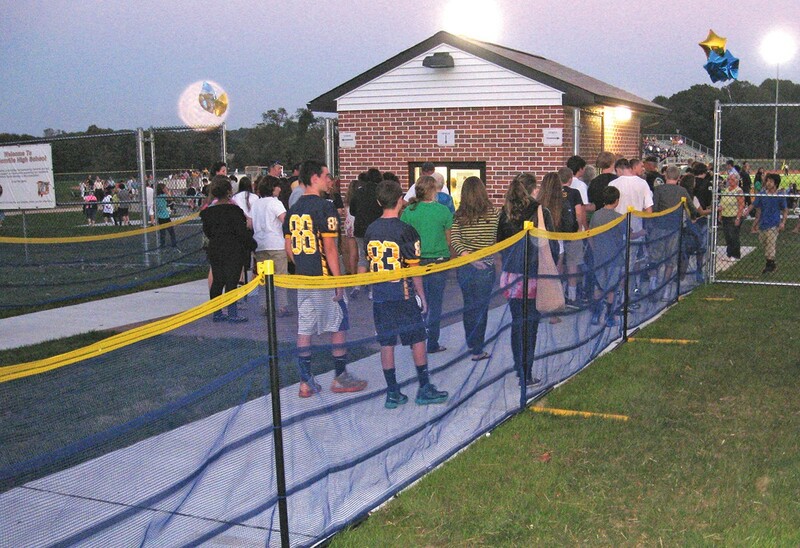 Grand Slam above ground 150' fencing is perfect for any event including festivals, trade shows and sports games where drilling holes is not an option or preferred. 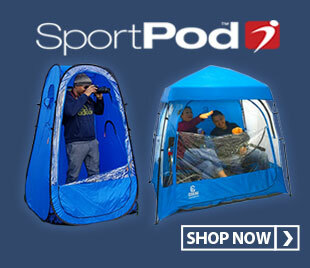 The weighted base provides stability against wind and allows for easy mobility from one location to another. 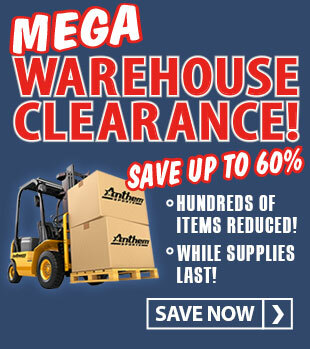 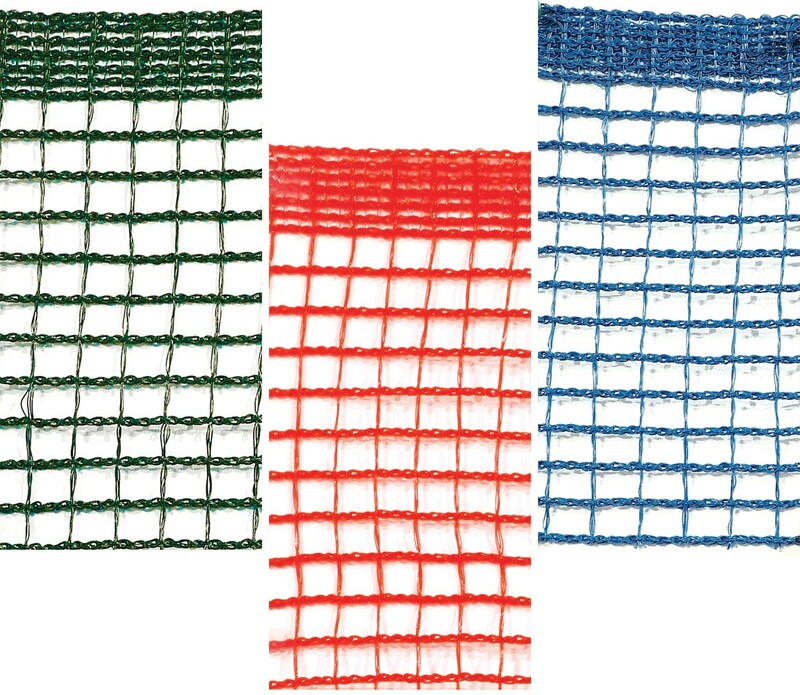 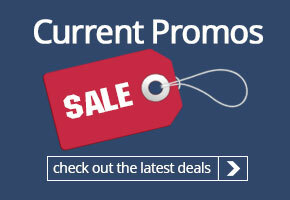 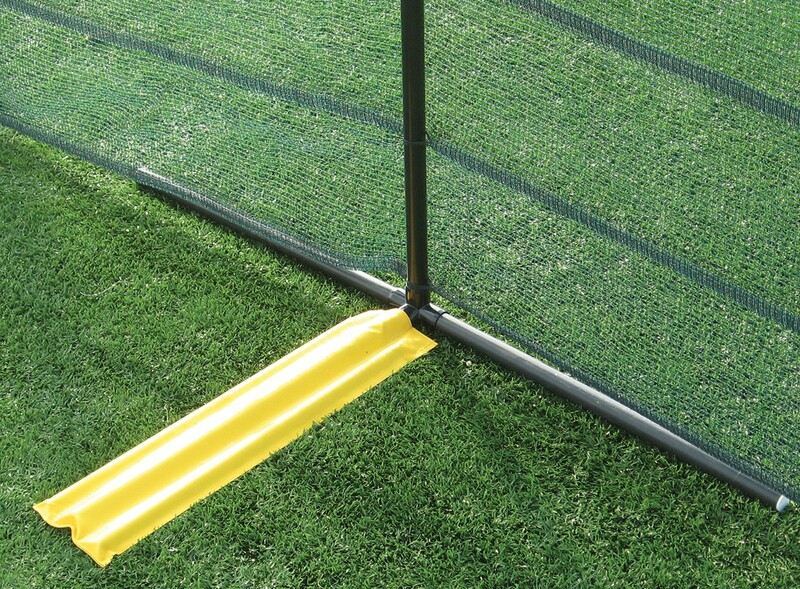 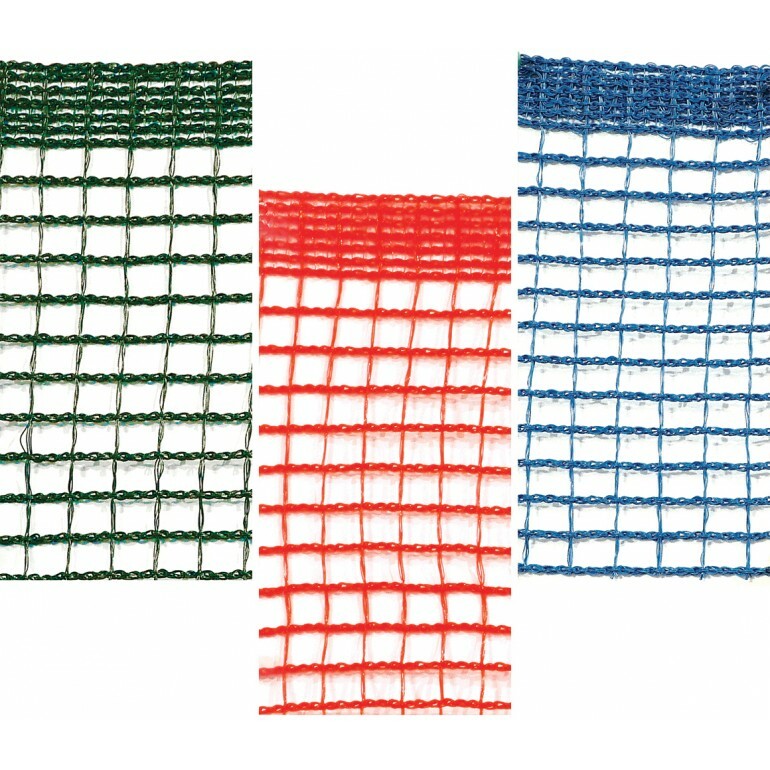 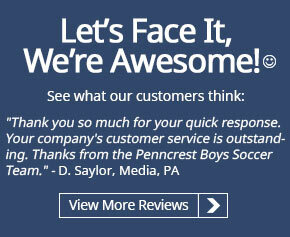 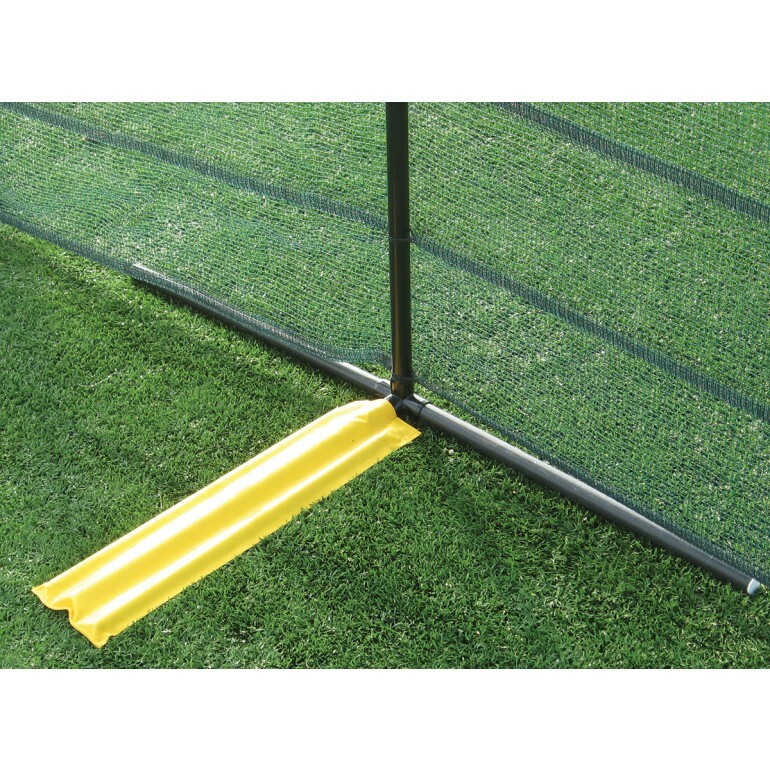 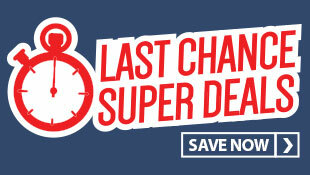 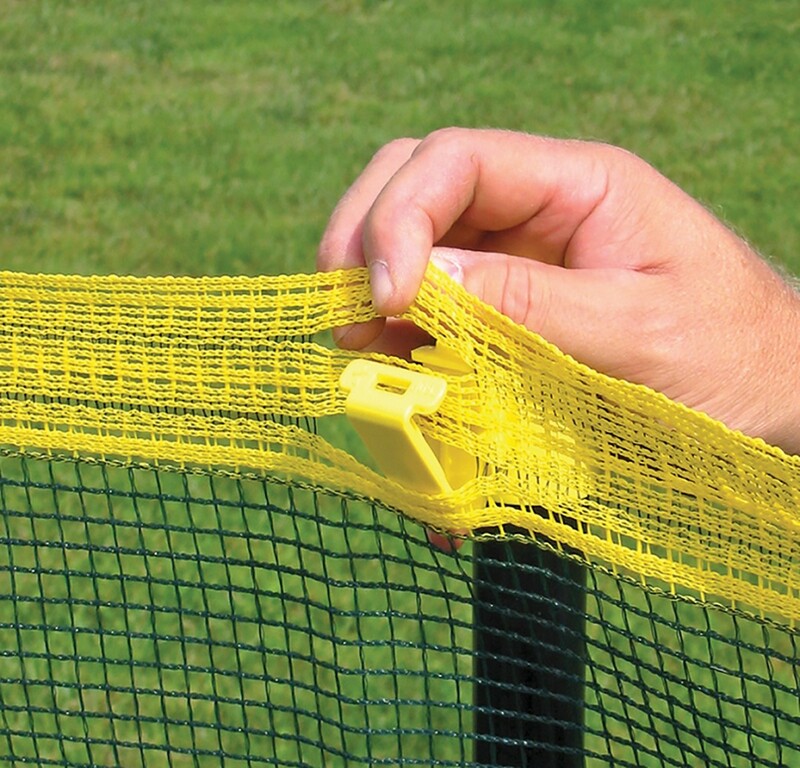 The soft, durable mesh is available in red, blue, or green and has a yellow top safety marker. 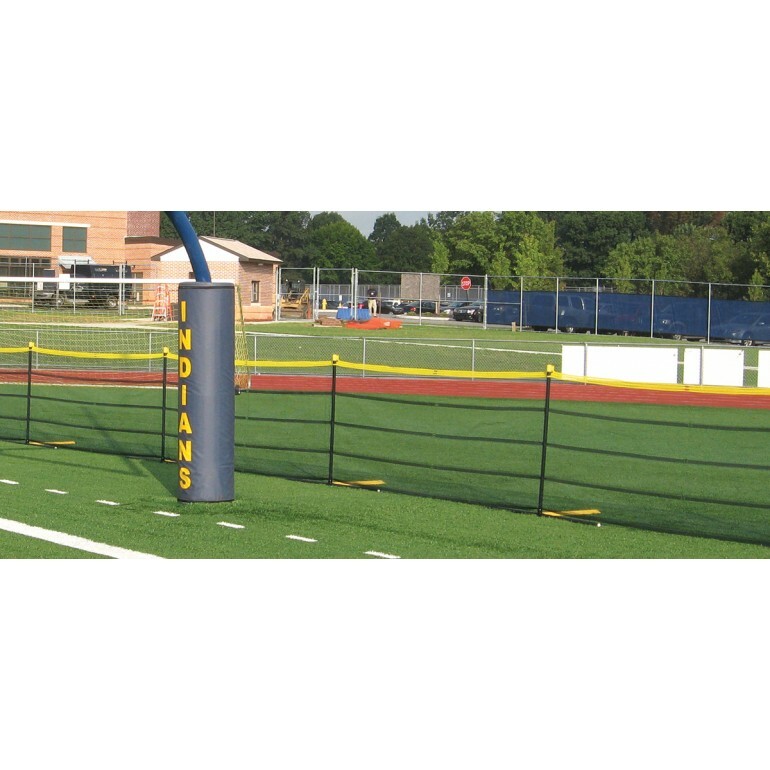 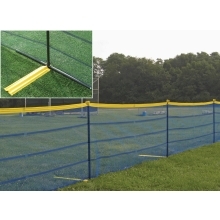 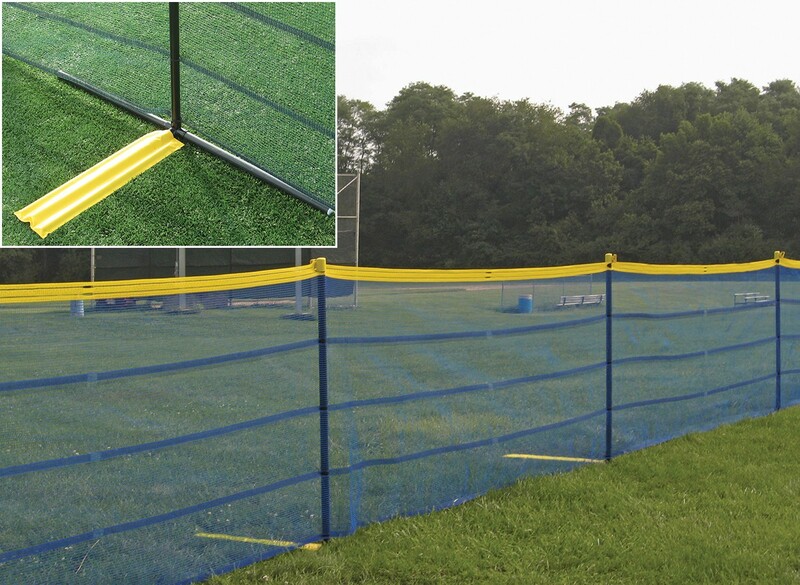 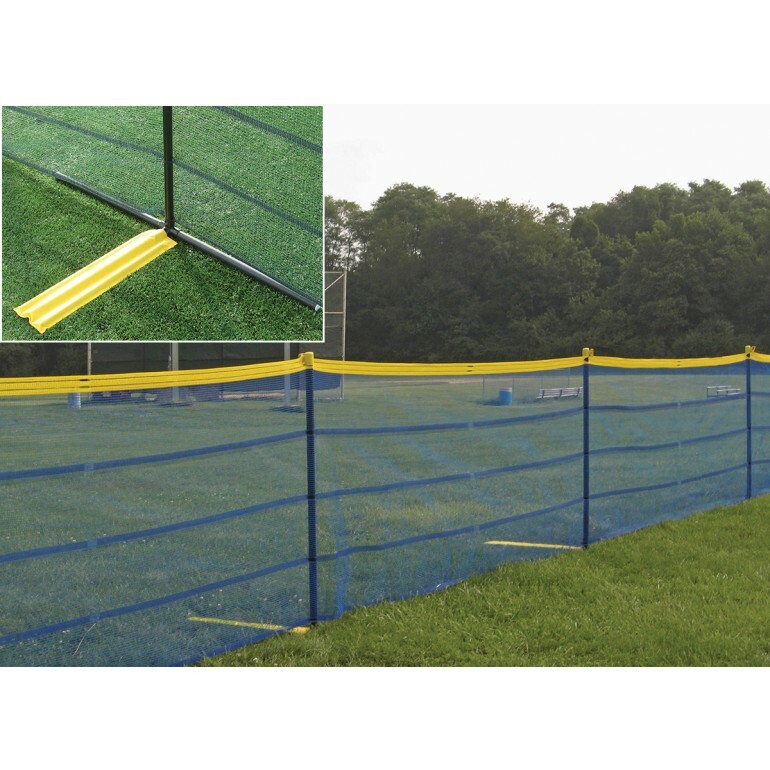 Grand Slam fencing is quick and easy to set up. 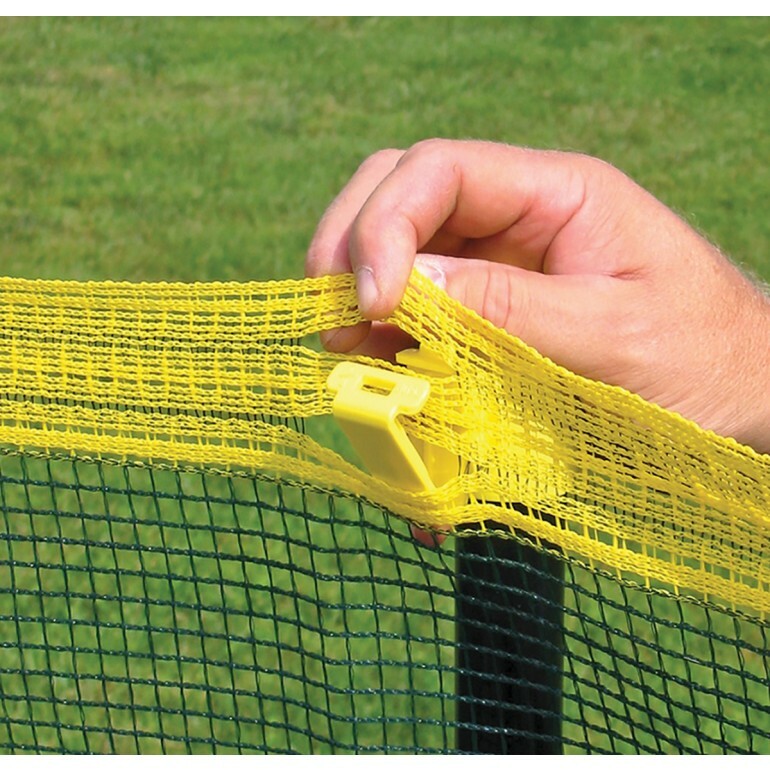 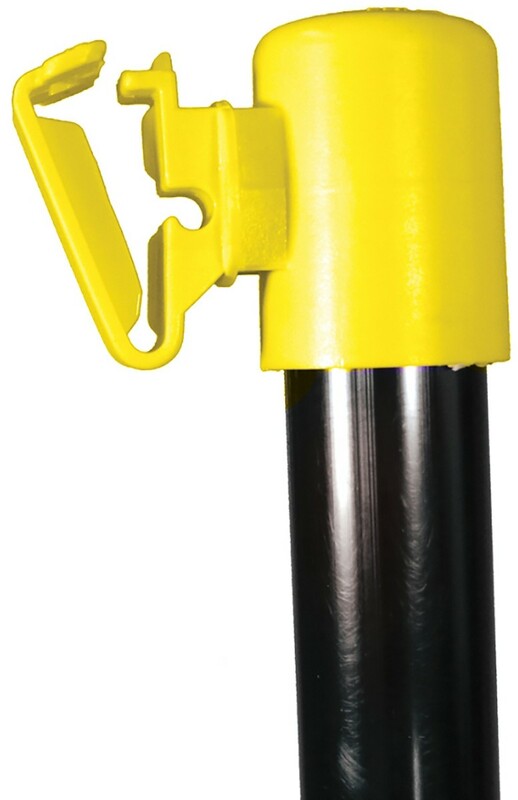 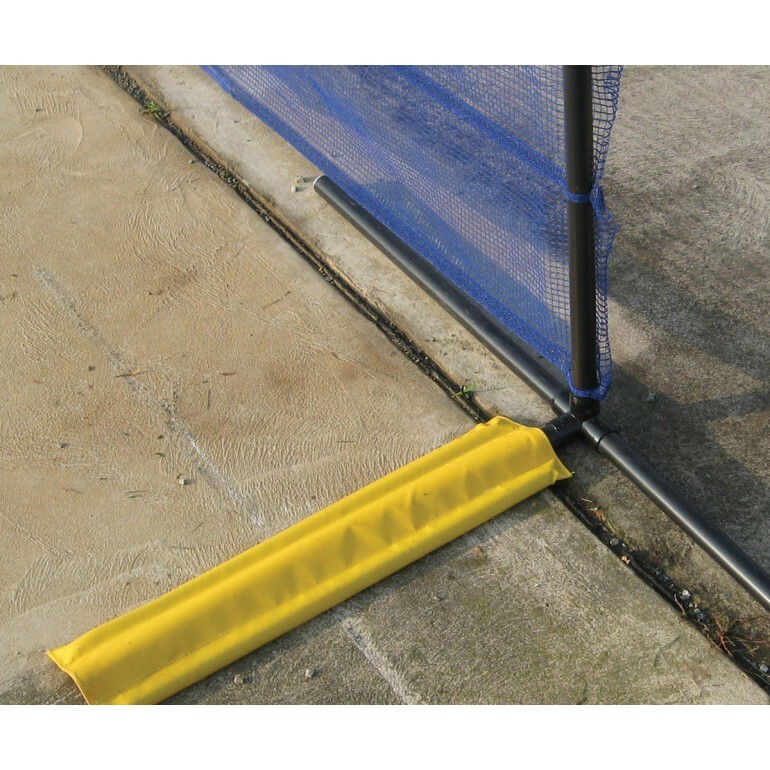 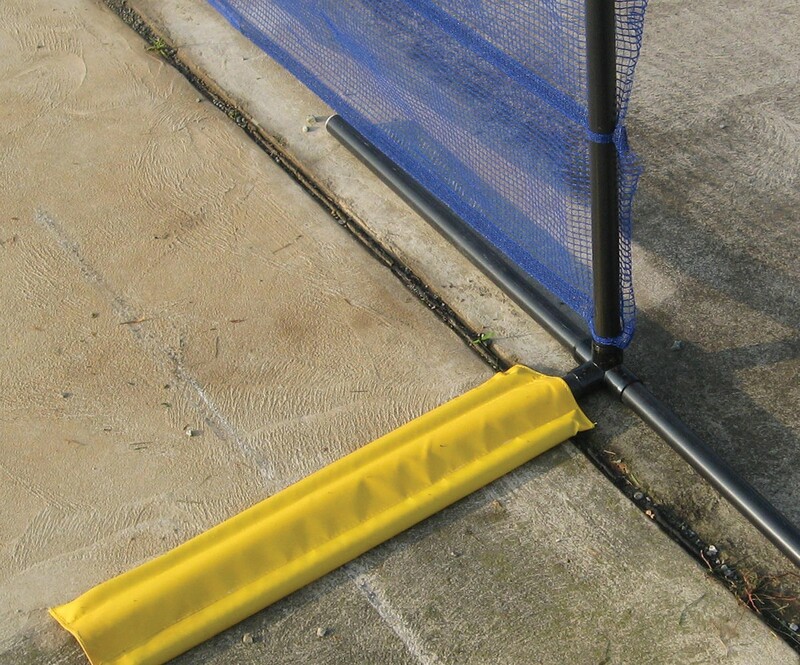 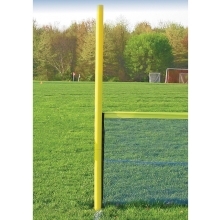 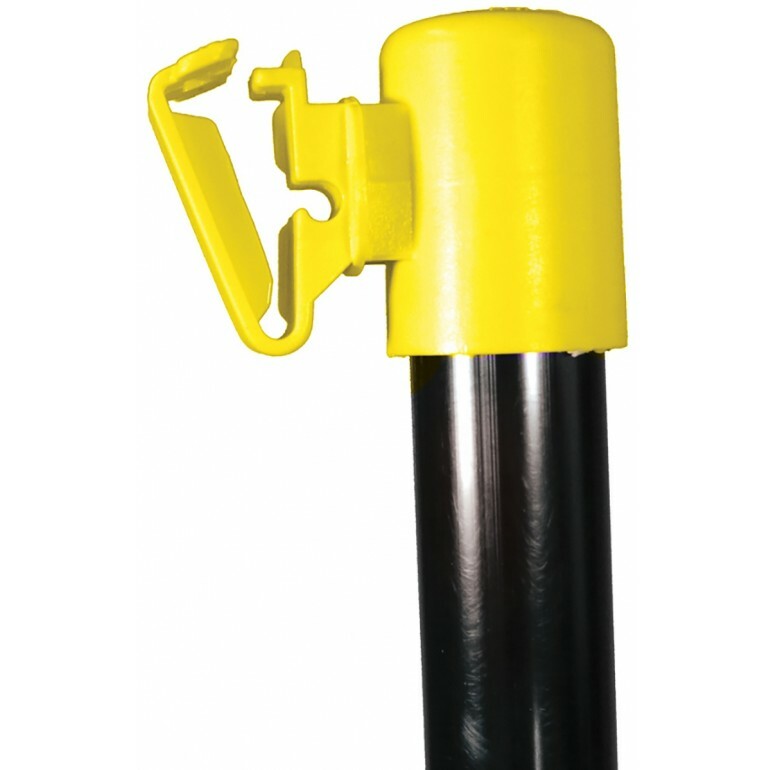 Just slide the poles into the slots woven into the mesh and attach the fence to the top of the poles using the yellow latched cap.